Escape to the rustic majesty of America’s Great Northwest. Inspired by turn-of-the-century National Park lodges, Disney’s Wilderness Lodge celebrates American craftsmanship and honors the beauty of the untamed wilderness. Soak in the splendor of the great outdoors, from nature trails through pine forests to rocking chairs that overlook a murmuring creek. Inside, discover towering totem poles, headdresses and more, and sink into a plush leather armchair in front of the roaring fireplace. Pool with water slide - A heated pool surrounded by pine trees and boulders. Follow a bubbling spring that begins in the lobby, flows under a window wall and transforms into a waterfall plunging into Silver Creek Springs Pool. Breeze down the thrilling waterslide built into the rocks, and relax in the hot and cold whirlpool spas. Children can even cool off in their own kiddie pool. You can also retreat to Hidden Springs Pool, the quiet pool and whirlpool spa nestled amongst the Villas. Child Care - At the Cub’s Den, kids can have fun together—while parents enjoy a romantic evening to themselves. And the whole family can create cherished works of art together during the daily Family Craft Time. 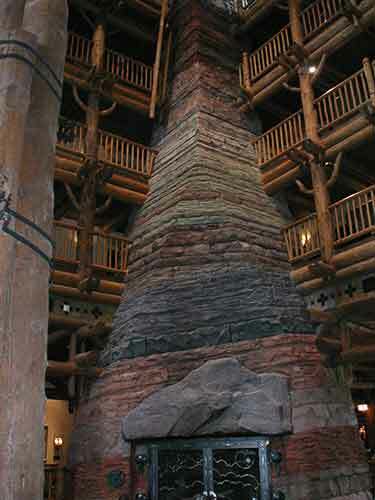 The Wilderness Kingdom Lodge offers both fine and casual dining options. The Magic Kingdom, Fort Wilderness, and the Contemporary Resort can be reached by Disney Boat Service. All other Disney World guest areas can be reached by WDW's Bus System. Parking: For reservations made after 21 March 2018 - $24 per night parking fee. This is one of the cheaper Disney Deluxe Resorts (along with the Animal Kingdom Lodge), making the price very attractive using the Disney Armed Forces Salute. Kids will enjoy the bunk beds in some rooms. The price range for the Animal Kingdom Lodge is $336 - $724 per night (Before any discounts military or otherwise) Standard Room Rates. Disney's room rates are based on both the type of room (view) and the time of year. The listed rates do not include Club Level or Suites. 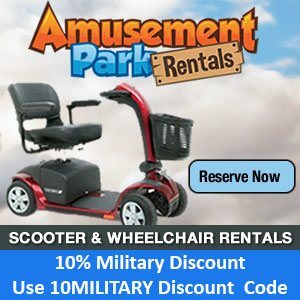 See this post to learn how to determine the room price using the Disney Armed Forces Salute discount. How do Disney Deluxe Resorts Compare to Shades of Green? The Wilderness Lodge is a Military Disney Tips Tested Approved Resort! We have stayed here twice and will return. 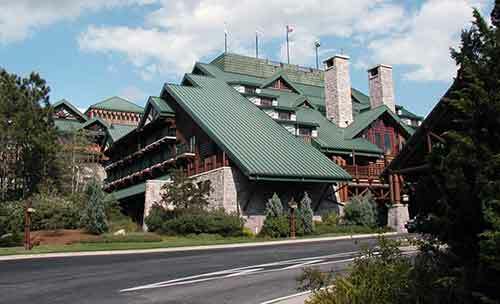 The Wilderness Lodge is in the Magic Kingdom Resort Area. Your First Visit says "Disney’s Wilderness Lodge is the second best place for first time family visitors to stay." Your First Visit ranks resorts for first time visitors based first on their kid appeal, and then on their convenience. Finding the best time to go to Disney World can be a challenge for a military family. You need to consider not only deployment and school schedules, but also many variables at WDW which can effect your vacation. 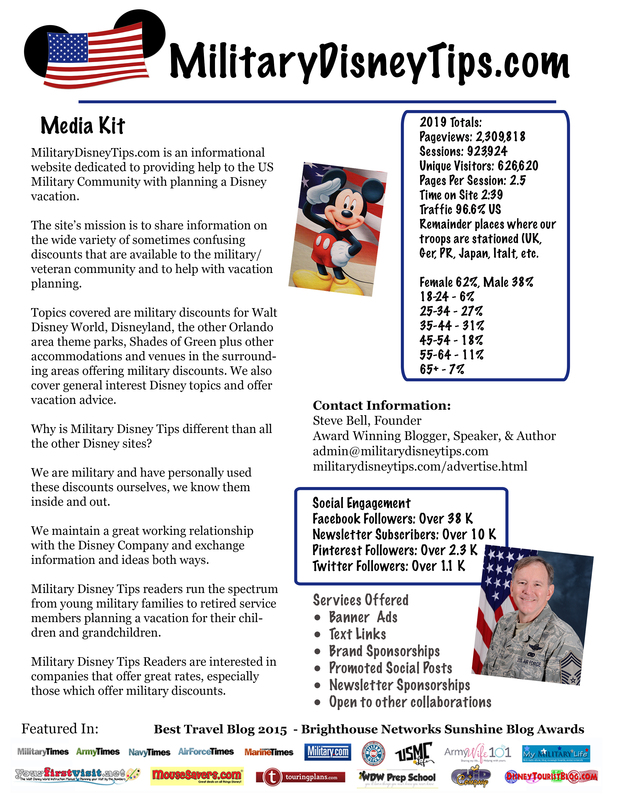 Military Disney Tips readers can make their Disney Resort reservations through Ears of Experience. 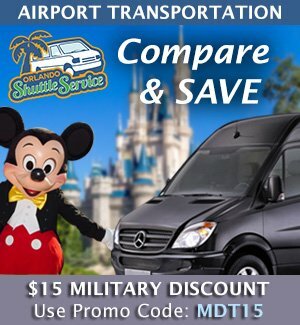 Ears of Experience is a Fee Free Travel Agency they specialize only in Disney Vacations. 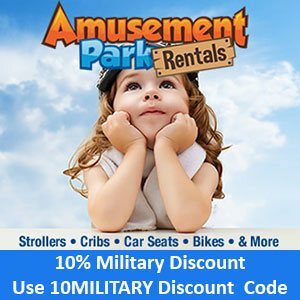 Owned and operated by a military family! 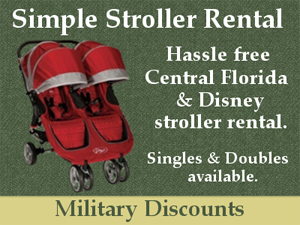 They knows all the ins and outs of Disney Military Discounts! There is never an extra fee but always extra service. 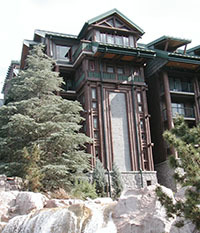 The front of the Wilderness Lodge on a bright Florida day. 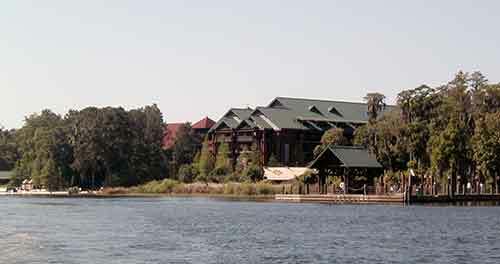 The Wilderness Lodge and its water taxi dock. Taken from a water taxi on Bay Lake, heading to the Magic Kingdom. 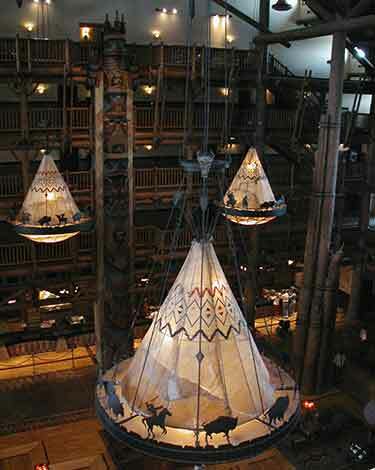 The Wilderness Lodge's Lobby from above. The massive fireplace in the lobby. The layers duplicate the layers of the Grand Canyon. 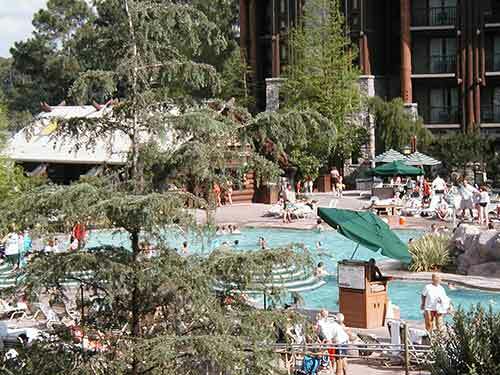 The Wilderness Lodge's Pool Area.